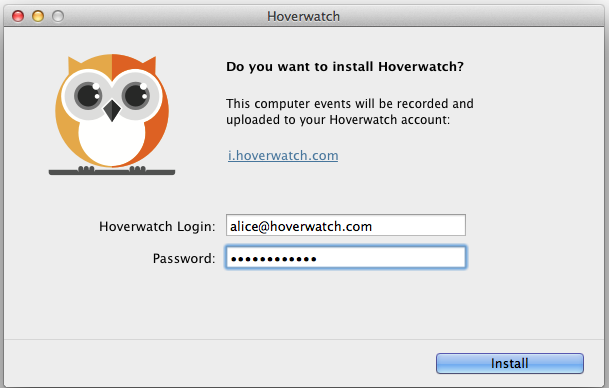 Download Hoverwatch for Mac OS X. Run the application. Type your Hoverwatch account login and password in a window that shows up and click «Install». Then type your Mac administrator password when asked. Click «Finish» after installation is complete. That’s it. The installation application will close, but Hoverwatch will continue to run in background. 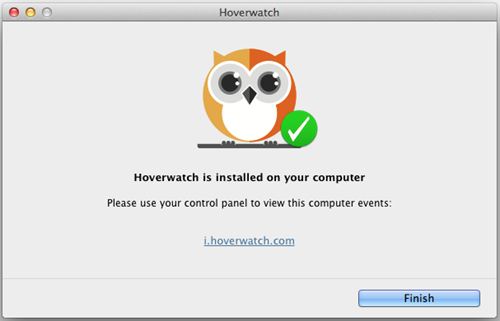 In a few minutes your Hoverwatch control panel will display information received from the Mac.